Jackie 3rd in Go! 10k~ Carine 1st in 5k! The Runnababez had some spook-tacular racing this weekend! Jackie Pirtle-Hall competed in the Go! Halloween 10k, just two weeks after running a marathon! Needless to say, she felt some of the marathon sludge still in her legs. However, Jackie finished 3rd overall among the elite women running 37:06 for the 10k. 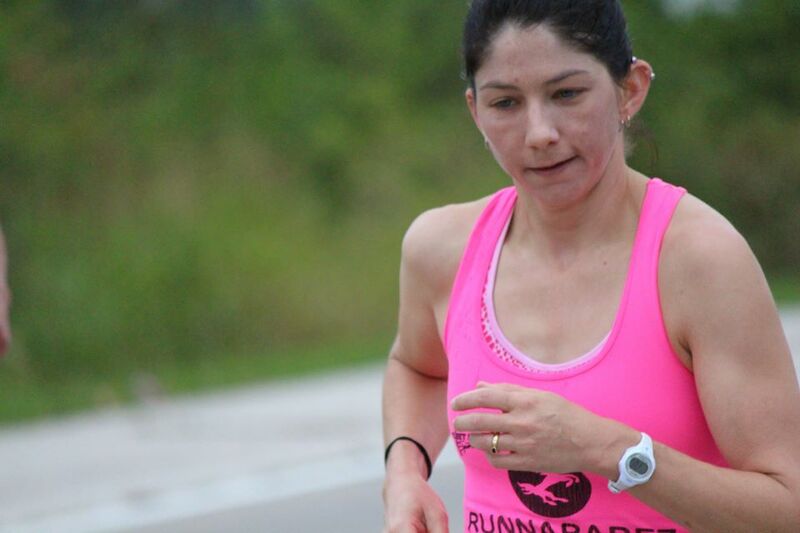 Fellow Runnababe Carine Rossouw competed in the 5k, and placed 1st overall among the women running 20:09, to narrowly clip out 2nd place finisher by a few seconds! Jessica File 6th Overall in Cowbell Half! 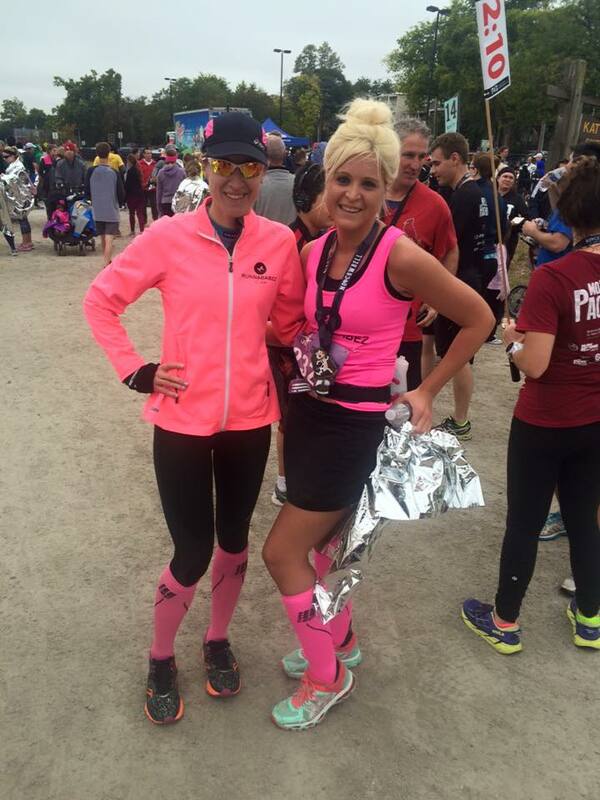 Jessica File ran the Cowbell Half Marathon today, in St. Charles MO. Jessica ran a negative split race running a 1:32 for 6th woman overall. 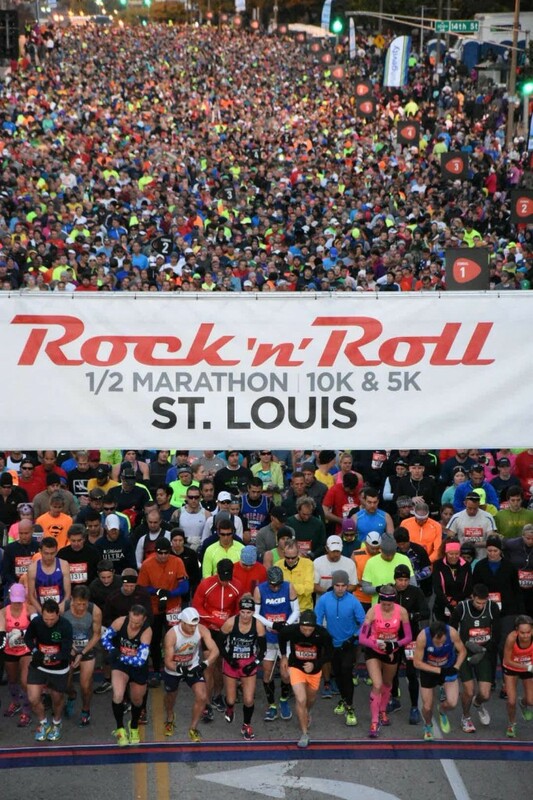 Her plan was to use the half marathon as a practice run before an upcoming marathon in November. She looks to be ready to go! Fellow family members of several Runnababez, participated in today’s half marathon as well. 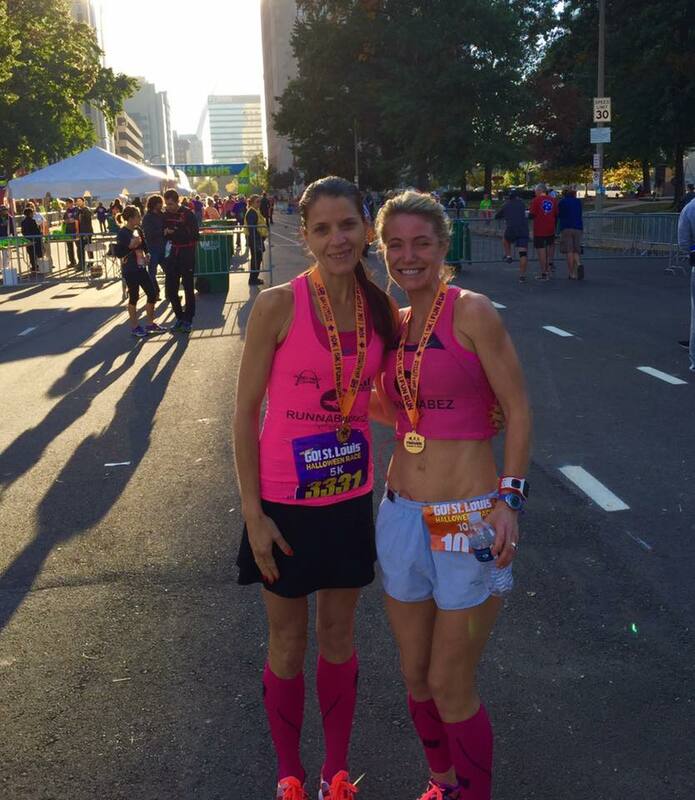 Lisa Cary’s sister, Monica ran a 14 minute PR to run the half in 2:08, even while sick with a fever and sore throat! Jackie Pirtle-Hall’s mom Beth, ran a great half marathon with a time of 2:04! Looks like the Runnababez team, have some pretty badger tough runners in their families as well! Congrats also to Runnababez friend Mikey Aitken, who raced the half and was the men’s champion, by holding off 2nd place by 4 seconds, to run a 1:12! So, many Fleet Feet runners were also setting personal bests today! Great job to all who competed! It was a great day for fall racing! The Runnababez will continue their fall racing in the upcoming weeks!